Doug Abrahams is a man you should know. An accomplished actor with more than 133 film credits, he is also a Dialect Coach to the many of Hollywood's finest actors and actresses. Now a new vision for his dialect coaching is available thru Skype, Webinars and one on one training to become an effective speaker with no jitters to ever think about. 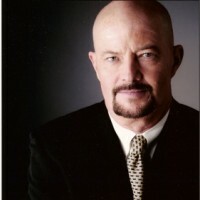 Doug has worked on a great many Film and Television projects in Vancouver, Toronto, New York and LA both as an Actor and as a Dialect/Acting Coach. (Check IMDB for updates) Most recently coaching on 'Elysium'...a Matt Damon movie! The new 'Seventh Son' big budget feature starring Jeff Bridges, plus many more. On the Acting side he just finished an appearance in the new Nickolas Cage film, 'Army of One', and is currently working on a new movie called 'Christmas Truce'. Doug has been a professional actor since 1972. 133 Film credits bear his name. He is currently living and working in the Film & TV industry in Vancouver, BC. and is considered one of the top dialect coaches in Vancouver. He has had the honor of acting with or coaching many well known actors from around the globe. Doug can change the vision of how you appear in public. For the high profile public speaker this is the man to empower you to greatness. With a pedigree background as an actor he has the distinct advantage in making you what you should be in the public eye and give you the tools to make public speaking a way of life rather than a hindrance to your job function. To those that need a coach for public speaking get in touch with Doug and let him design a full empowering program that he can master through Skype or Webinars or one on one at any location.